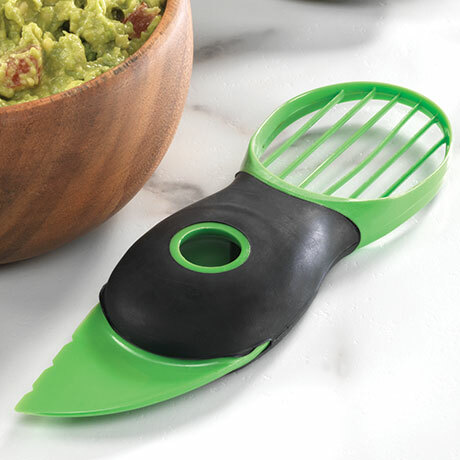 A multi function tool that slices the avocado peel, removes pit with one quick twist and slices perfect pieces that easily lift out. Dishwasher safe. BPA Free. 7 ¾" X 2 ½" X 1"